Lime Green Giggles: Let It Snow! Well, here in north east Ohio it's a little too cold to snow (-2 with a wind chill of -18). 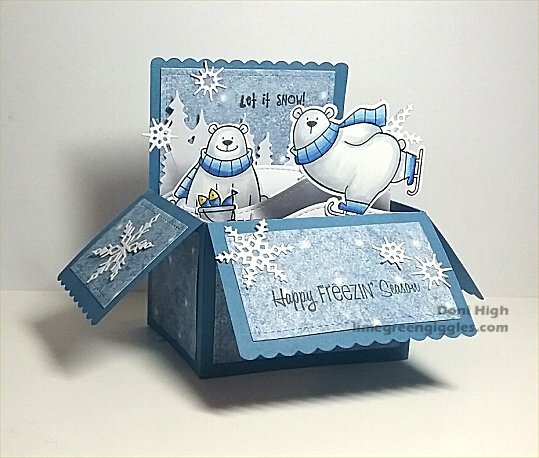 Doni, I love this box card, perfect with these cute as polar bears. Such a clever idea. UGH! Well look how cute this is! I really need lessons from you! Of course I think the key are those adorable little inside elements you have that I don't! We'll have to work on this! LOL Totally awesome!